The backrest of each of the four folding chairs is decorated with blue and stone coloured ceramic mosaic. Bringing to mind calming beachfronts, their hues coordinate with the surface of the round table. 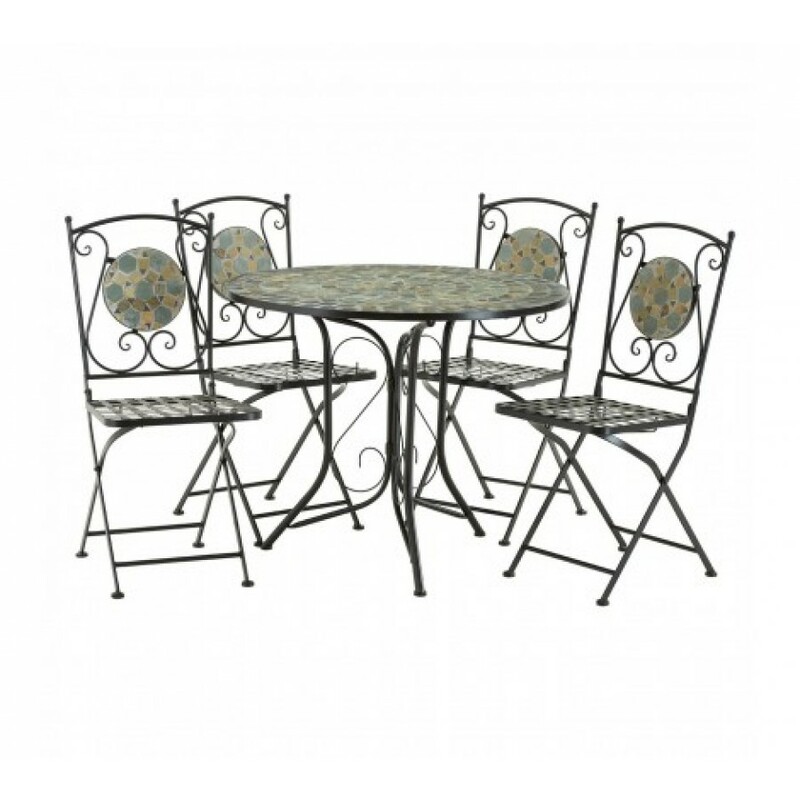 The frame of the table and chairs is made from robust wrought iron, with delicate scrolled metalwork adding a further flourish to this colourful set.